Ticket sales open for all states - book now! 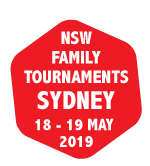 The Australian Boardgaming Tournaments are fun, family-friendly competitions with a focus on euro-style games Ticket to Ride, and Settlers of Catan. Prizes range from $20 gift vouchers all the way up to overseas airfares for world championship tournaments. Tournaments are held annually in the first half of the year in Canberra, Sydney, and Melbourne. 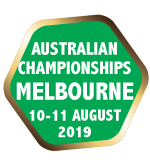 The 2019 Australian Championships will be held in Melbourne, with the chance for some lucky winners to represent Australia in their World Championship tournaments! 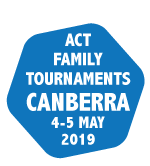 Anyone can enter the Australian Championships - Winners from the ACT and NSW events receive free entry to the Melbourne event, and are automatically seeded in the top 16 of their championship game. Love competitive Catan but can't make it to our regular state events? Easy! Just select your state page and purchase a ticket for your tournament*. If you're purchasing several tickets at once make sure to include all player names - and don't forget our group discount rates! * Please note that organisers reserve the right to cancel tournaments if we do not reach a minimum 12 players. Refunds will be offered should this occur. Any refunds will be processed less booking and financial fees. Prizes differ for each event. See your state page for the relevant details. Rules on tournament gameplay for each game are laid out on the Rules page. We encourage players to familiarise themselves with these documents. Previous players will note the absence of Dominion and Carcassonne tournaments. Over the last four years we have personally underwritten the running of these tournaments. During this time we have been unable to attract sufficient players or additional financial support from the industry to make these tournaments at least break even. Should this change in the future we would look to reintroduce these tournaments but at this stage they are not economically feasible. This was not an easy decision for us to make but we think necessary to maintain the long term future of the other tournaments and events we run.